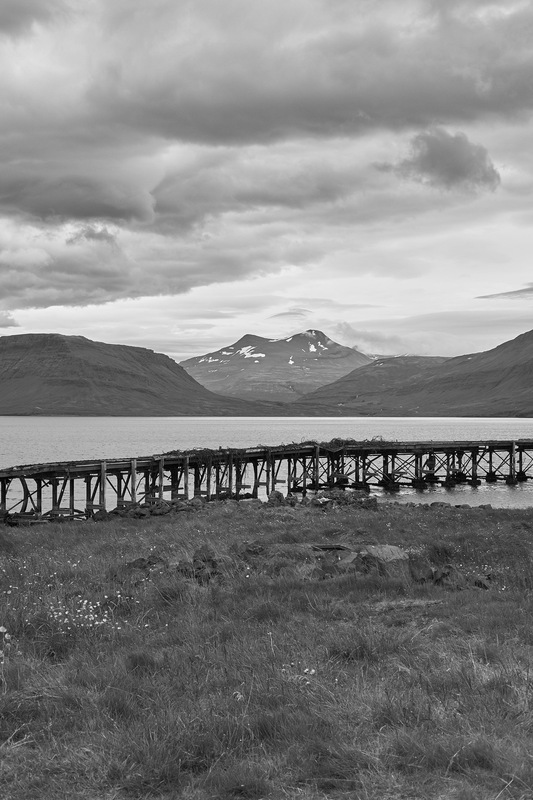 This is another picture from the remains of the old U.S. military base in Hvalfjörður. The structure is what little is left of the base’s pier. Not sure of the names of the mountains in the background.